Giants Reactors to harness the power of the atom or mighty Turbines to turn steam into energy? Why not both? Whenever I try to make an actively cooled reactor, it doesn't automatically pump coolant in. I've tried several methods such as ender io fluid conduits, buildcraft pipes, and extra cells fluid buses, but it never shows up in the fluid tank. Is there anything else I missed? What fluid are you inserting into the reactor? Which version of the mod are you using? 0.4.5.65, I've tried to use water and gelid cryotherium. You should be able to insert water into the fluid port using a pipe from another mod. Make sure that the fluid port is in input mode. How do I solve this problem without removing your mod? I noticed that the cost for the casing went from 4 iron, 4 graphite, and 1 Yellorium to the same, but with the Yellorium being replaced by another item that needs more resource, ramping the cost to make the casing blocks up by quite a lot. Is there a way to revert the recipe? The cost is pretty absurdly ludicrous for something you need a lot of. It would be best to tone it back down. Will reactor meltdowns and turbine explosions, make a come back? EDIT: didnt work... latest version of forge available, and latest version of the mod for 1.10.2... crashed again ._. Edit Nr.2: found the issue, im running on forge 12.18.3.2158, but the latest is 12.18.3.2511... My bad, anways THANKS! 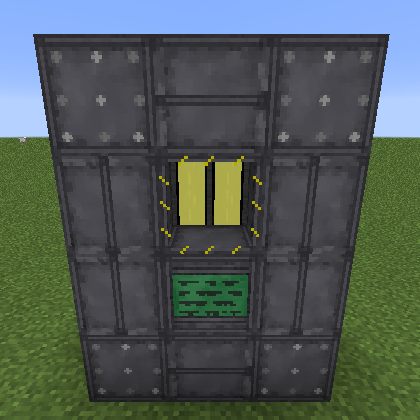 We are useing the industrial foregoing mod in our mod pack; commune crafters, on tecknic; this has a laser drill that is supposed to mine Yellorite Ore. However, because of the change in the ore in recent updates, the mod no longer mines the Yellorite. We can fix this but we need the new Yellorite ore block ID and we can’t find it. Quick Question, what Liquid is allowed to be used as coolant in this mod? I do not have Gelid Cryotheum or any of the others... Not sure where to get those. And Cyanite is not allowed as a coolant. As for other liquids, test them :) Other mods could add their liquid to ER so there is not "a list"
If nothing else... water works. Is there a reason why Yellorium Ingots are not in the mod ? there is the ORE but not the ingot itself. Ive been mining for hours and have yet to see any Yellowrite Ores. Ive even went to the nether and Aromes mining Dimension as well as Twilight Forest. did you change anything ?? didnt find any so im a bit confused now. The screenshot provided doesnt show the ingot either.